Invisalign in Inner Harbor is one of the most popular treatments among adults who want to achieve a healthier, more attractive smile without the use of traditional braces. 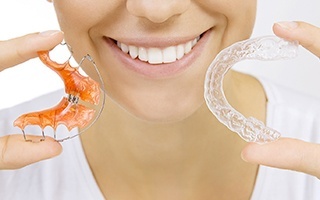 Are you thinking about using Invisalign to straighten your teeth? If so, you may want to learn more about it before you visit our practice for your consultation. Here, we discuss some of the most common questions regarding Invisalign. Your teeth are not rigidly fixed in place in your mouth. In fact, they’re connected to the bone via tiny, stretchy ligaments that allow for small movements. 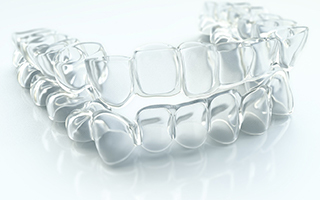 By applying gentle, sustained pressure, the Invisalign aligners can slowly move the teeth into their proper positions. Some patients require special attachments on their aligner trays for Invisalign to be as effective as possible. You may have heard that some people experience discomfort after their orthodontist tightens their traditional braces. Similarly, your mouth may be a little sore when you first switch to a new aligner. However, the entire treatment is relatively pain-free. You can mitigate some of the discomfort by switching to a new aligner at night so you can sleep through part of the adjustment period. 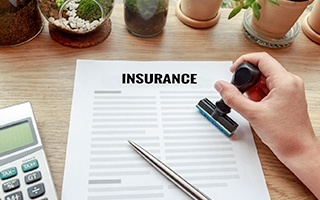 You’ll need to check the specific details of your dental insurance policy to find out whether it covers Invisalign. Many plans do include a provision for orthodontic treatment if it is necessary for your oral health and does not have purely cosmetic goals. 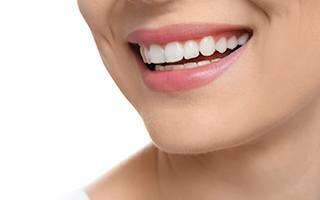 How Often Will I Need to Visit My Dentist in Inner Harbor During My Invisalign Treatment? We recommend that patients visit us every six weeks or so. At these appointments, which are usually so short that you can squeeze one into your lunch break, we check to make sure that the treatment is proceeding as planned. We may also provide you with the next aligners in your series. What Is the Best Way to Care for My Aligners? You can purchase a special cleaning kit from Invisalign to keep your aligners fresh from day to day. Alternatively, you can use a clear, antibacterial soap and gently scrub them with a toothbrush. Also, keep in mind that hot or colored beverages can stain or warp the aligners. It’s best to only drink plain water while you have Invisalign in your mouth. You should never chew gum with Invisalign because it will stick to the plastic. What Should I Do If I Lose or Damage an Aligner? Don’t try to force a damaged aligner back onto your teeth. Instead, call our office and ask what you should do. We might tell you to go back to wearing your previous aligner temporarily, or to move to the next aligner in the series a bit early. Or, we may decide that it is necessary to order a replacement for you. Yes. A retainer will help you to ensure that your new, well-aligned smile stays in place. You may need to wear a retainer around the clock for several months following your treatment. Later, you may be able to wear your retainer only at night. Some patients are candidates for a permanent retainer that is discreetly attached to the teeth.